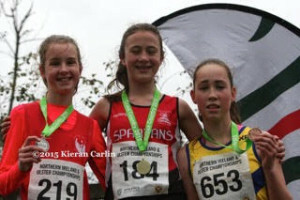 Several of our young athletes were in competition at the weekend competing at both Ballyclare in the age group races before the McConnell shield, and Finn Valley Stranorlar in the NI and Ulster Uneven Age group events. 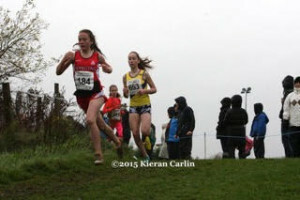 On Saturday in the girls U14 race Murphy Millar carried her excellent training form onto the racing circuit and had a convincing win. 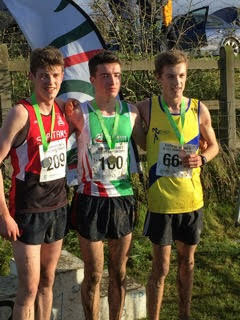 In the same race Tara McDonough finished a very credible 6th and in the boys U14 race we had Adam Skelly finishing 7th. Excellent performances from Tara and Adam who are relatively new to cross country running. The following day Finn Valley athletic club hosted the NI and Ulster Uneven Age group cross country. 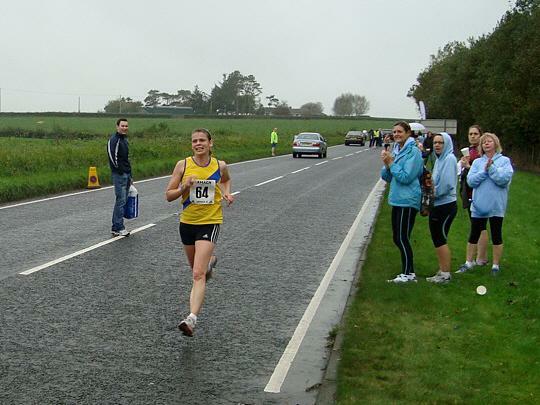 The heavy morning rain had made sections of the course very soft, and as the races progressed it made underfoot conditions even more of a test. In the U13 girls Amelia Tyler had a fantastic race to finish 3rd with Megan Briggs finishing 11 seconds later in 11th – between Amelia and Megan there were 8 athletes within 5 seconds, very tight packing. Both girls benefited from the Uneven bracket and improved on their U14 results at Jordanstown 2 weeks ago when they finished 9th and 14th respectively. Ellie Gordon on the other hand ran in the U12 at Jordanstown and so was moving up a year to U13 this week. Nevertheless Ellie had a very strong run to finish comfortably in the top half of the field in 42nd place. Sisters Jessica and Anna Scott were flying the flag for North Down in the girls U15 race and did so admirably, finishing in 25th and 36th in a very competitive race. Jakob Swann finished 17th in the boys U15 race, less than a minute behind the winner and Thomas Patterson finished in 36th at the top of another tightly packed group. 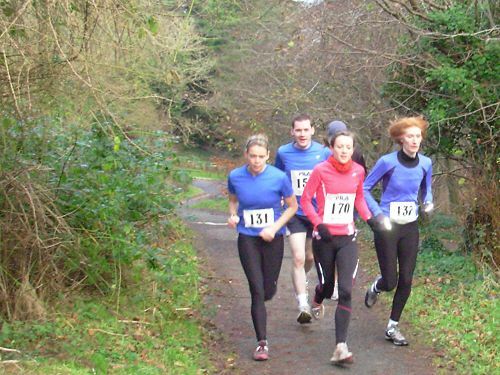 Nia McNally was our sole representative in the girls U17 and completed the course in 14th place, all athletes who finish in U17 and U19 at provincial level can run in the Irish age groups. The boys U17 race included Craig McMeechan for North Down who ran at the front of the race throughout, eventually finishing in an excellent 3rd place. The first 3 finished within 4 seconds of each other. The final age group race of the day saw Reece Simpson compete for NDAC in the boys U19 where he ran a strong race, on what was now a well churned up course, to also finish 14th. 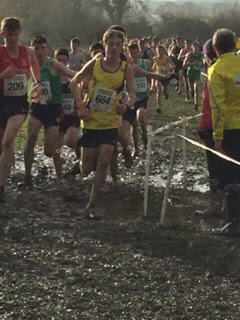 The effect of mud slinging off the spikes resulted in Reece running a large part of the race with one eye open due to mud and grass in the other eye! 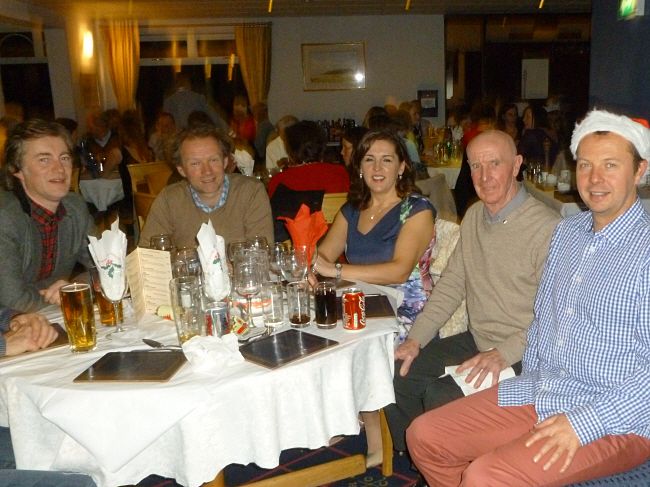 Congratulations to all of our runners who participated in recent events and good luck to those who qualified for the Irish age groups at Santry on 22nd November and Dungarvan on 6th December. It is great to see such commitment which is also evident in our training sessions where our numbers are very healthy. 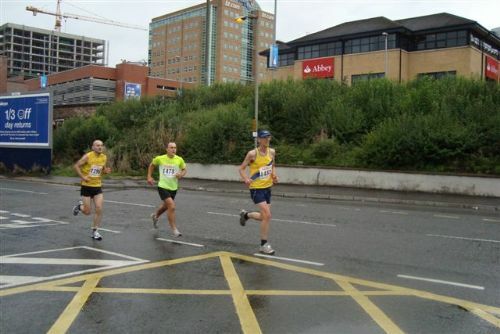 Keep up the good work in training, there is always something to train for and as the races progress, especially in age groups, the athletes become familiar with fellow competitors and should see their positions improve.